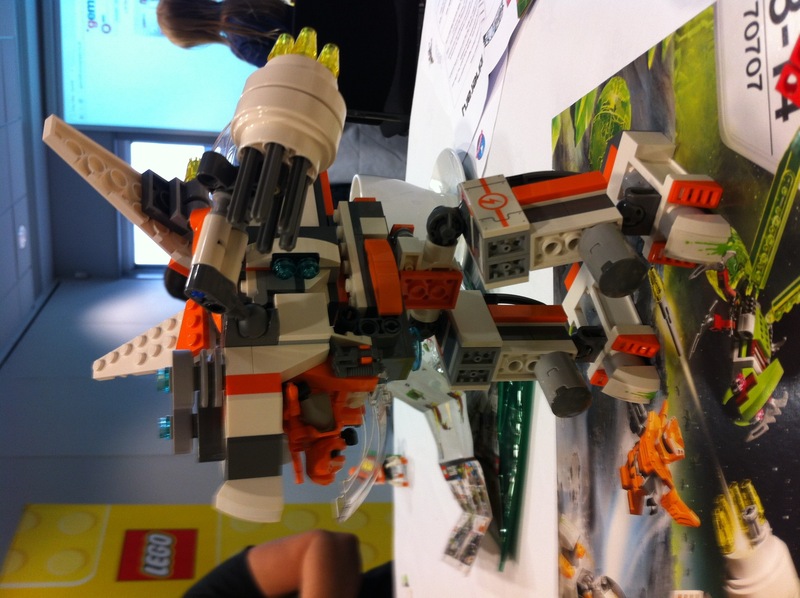 Last week we were invited to a local event for a fun family day out to celebrate the launch of Lego Galaxy Squad at the National Space Centre in Leicester. My girls love Lego, admittedly they’re pretty much mostly into Lego Friends but any chance for a bit of LEGO building never goes amiss and this was doubly exciting as we were heading off to the Space Centre too. Thanks to a very lovely LEGO goodie bag, they spent the first hour building, creating and generally enjoying the new range of LEGO on offer. The intergalactic Lego Galaxy Squad are here to stop a horde of space bugs, cocooning everything in their path and turning entire planets into creepy hive worlds. The team of heroes and their robot sidekicks are ready to take on the swarm of alien insects and save the galaxy. Cool! You may think this is more aimed at boys than girls and I guess you could be right. Miss R, at 6 and with bags of imagination had no problem with it, but Miss E, at 9 and very girly did lose interest after a while, but I think this is all down to your children and their likes and dislikes. You can’t knock the design and quality of the product that’s for sure. We all love LEGO (and we’re very much looking forward to our first visit to LEGOland Windsor later this month!). Just take a look at the detail on this model. This is the Eradicator Mech, helping Orange Team Leader Jack Fireblade to extermiate the alien abductoids. Activate his split function, lower the wings and take flight in the jet with hidden bay door and deployable bomb! The split function, forming two vehicles is available in all the super space vehicles kits and LEGO fans will know this is a first for LEGO products. This kit, aimed at 8-14 year olds sells for £34.99. 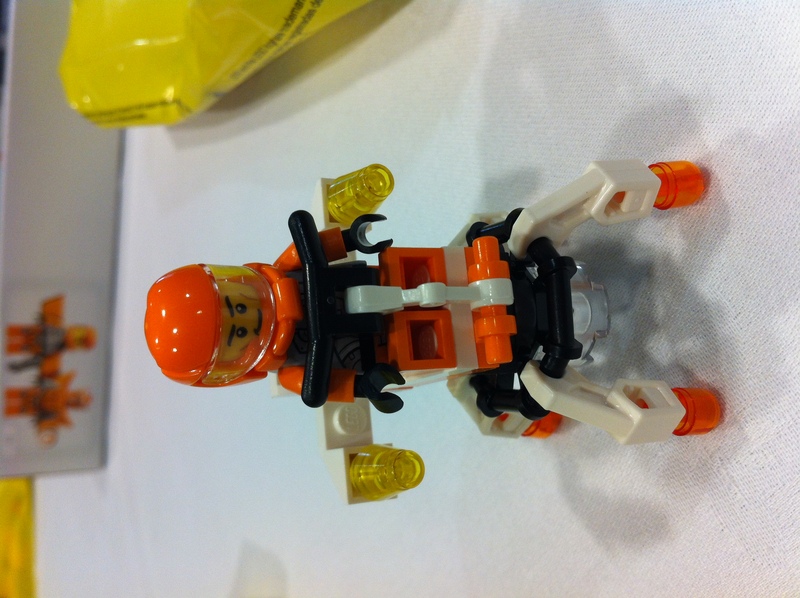 After a great building session it was time to explore the Space Centre and LEGO fun that was happening on Launch day. Gem 106 Radio station were there giving away lots of LEGO sets to some very excited children. We made slime too, and apparently it lasts for a week! There was lots of fun to be had learning about the history of the Space Race and checking out some pretty big rockets. My favourite bit? Well check this out. 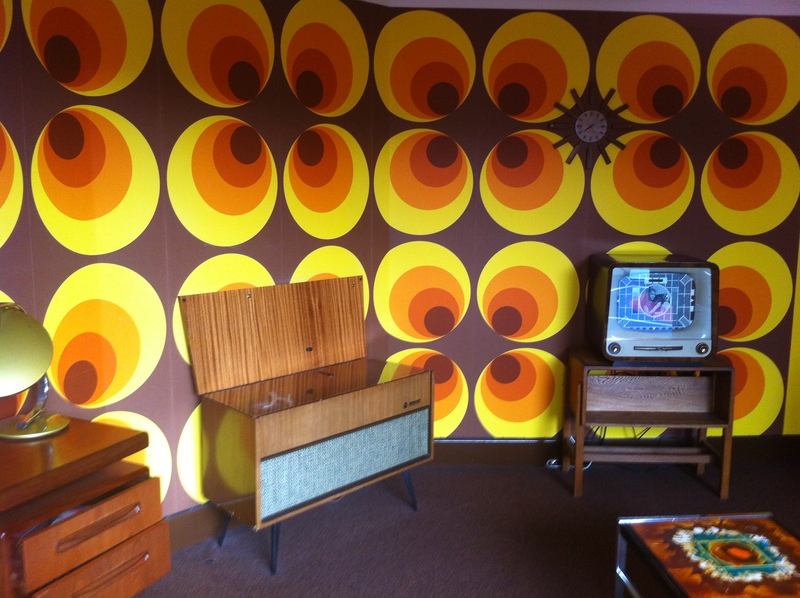 This was a room on the top of the Space Centre depicting decor in 1969, the year the first man landed on the moon. Love the wallpaper and think it’s a real contender for Wallpaper Wednesday, don’t you? The children were really intrigued by the furniture in here. The piece in the middle of the shot is an old fashioned radiogram which we had at home in the 70’s. Not easy explaining the concept to children who are familiar with MP3 players and digital technology. I had great fun rummaging through the drawers and finding all those items that we used back in the 70’s though. A real blast from the past. But back to the LEGO. If you fancy checking out the online LEGO Galaxy Squad game – Bug Battle and Cocoon Crusher are free to play online at: LEGO.com/GalaxySquad and the LEGO Galaxy Squad Bug Battle is also available on iOS as a free app game. 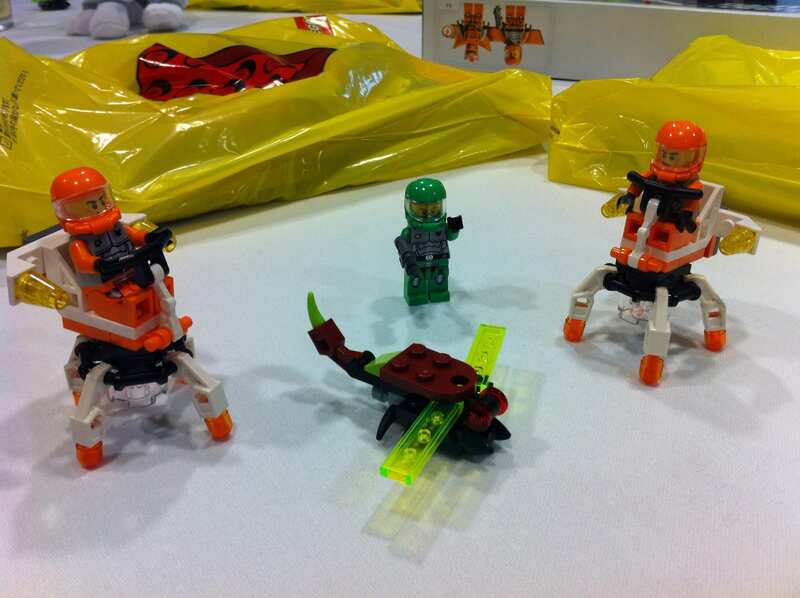 LEGO Galaxy Squad is now available in the shops and I have no doubt it will be a fantastic addition to the range. Thank you to LEGO for inviting the family to the fun filled day out at the Space Centre to celebrate the launch of LEGO Galaxy Squad. Ooo big fan of Lego here, it’s been helping us while away hours making cars and space ships this week!